I found a small seemingly private room called the Communications Library on a huge college campus in the Midwest. It was tucked in the right corner of an old historical building where glistening concrete floors smelled of Pine Sol. The Communications Library became the answer to my desperate search to find a job to help defray the cost of college expenses. It was intimate, peaceful, and uneventful, yet it was also inspirational, exciting, and at times even odd. As an 18-year-old African American woman in 1988 I was naive, unable to fully comprehend the significance of working in a library. I was a first-generation college student, and certainly my parents did not have stories of working and learning simultaneously. The thought of making a living as a librarian had never occurred to me until then. This reality of learning while working and extending the service to others was not something I knew was available to an up-and-coming professional. And while reflecting on my high school years I don’t believe I had ever met or worked with an African American librarian. It would take me some time after working in several departmental libraries to realize this was a viable and productive field to pursue. My undergraduate years mirrored my high school experience, and I simply chalked up it to a neat “work study” job, although I knew deep down my experiences within the Communications Library was not at all common, neat, or mundane. To me helping students find books and journal articles and working on an advertising archival project were eye-opening and wonderful learning experiences. Certainly, if I had been exposed to librarianship earlier and the idea that of making a living curating, reading, researching, writing, studying, and ultimately helping others learn information literacy skills, I may have looked more closely at the profession. I am sure the bubbling desire to pursue the library profession would have been affirmed. Perhaps a mentor could have led the way and discussed the history of the library profession, the role of African American librarians and their impact on African American literacy, and the opportunities for growth; that may have sparked me to look more closely at librarianship as a profession, but it didn’t happen. The opportunity to read, study, and assist students as needed was more than I could have ever imagined. There were unexpected moments whereby I’d witness students stretch out arms with excitement after accomplishing long overdue tasks or the consoling of one another after an occasional mental meltdown after an all-nighter. In essence, the library served as host to these experiences, and I came to redefine it as a hub for learning. Learning from a discovery perspective and without rigid boundaries was fascinating to me. It was an evolutionary experience because it didn’t happen over night. It be would years before I fulfilled the yearning to work as a librarian; literally and metaphorically, the library was an open door to information, learning, teaching, technology, and relationship building. As an undergraduate I spent the next four years working in a variety of departmental libraries on campus including the Education, Business, Philosophy, Liberal Arts and Sciences. During these times, I was often reminded of the prominent African American school founder and educator, Mary McLeod Bethune, who understood the power of reading when she stated, “The whole world opened to me when I learned to read.” It was not only the power of reading but also having access to an abundance of information representing academic disciplines I had never thought about exploring. As a student library assistant, I learned the art of perusing books and information and developed a knowledge about the importance of investing in human capital where exchange of ideas and experiences with a diversity of people became the currency. Strong interests in inquiry, research, and collaboration would come later and serve as the catalyst to my entrance into graduate school, where my personal teaching philosophy was birthed and shaped. Still I don’t believe I contemplated the option as a profession, because I had selected elementary education as a major and considered it a “safe and stable” career. I was not as sure about being a librarian, and there was external pressure from families and friends to increase representation of professions that were familiar, directly impacted the next generation, and had longevity. The library, I thought, would illuminate my educational endeavors as a support structure. I spent hundreds of hours there not only as an assistant but also as a learner. Interacting with students of various disciplines taught me the interconnectedness of information: how to learn, create, and share information. Sure, at times it was information overload, but each encounter served its purpose: to unfold the ways we build knowledge not for its own sake but ultimately to better understand the world in which we live and problem solve. For me that was the true meaning of education. Fast forward twenty-one years later and I returned to the profession, but this time as a trained, skilled, and credentialed school librarian, yet there are times I feel alone. My experiences teaching and serving with a predominantly African American school revealed that students of color can not only learn but also thrive in an environment where educators and mentors are intentional about exposing them to a world of learning outside of the classroom. Shared histories, experiences, and culturally relevant materials and resources serve as a springboard to learning. I am also convinced that representation of people of color within the field of librarianship is not just about hiring someone of color; it is also about having someone who possesses the knowledge and understanding to use their position to promote cultural diversity in its entirety. When I first started working as a school librarian there were three African Americans including myself in a district that employed over 30 licensed professionals. Now I am the only African American and person of color who holds that position as the other two have retired. I often ask myself when I attend district meetings, trainings, and workshops why is this the case and what can be done about it? There are many times I am the only African American school librarian and/or person of color and my voice needs to be heard. My reflections though true and revealing are only that. At some point I must gather up the confidence and fortitude to contribute to addressing this dilemma of underrepresentation in the field of librarianship in a fruitful way that yields solutions and encourage others to do the same. I want the next generation of African American students to know that the profession is booming and ever evolving . It can not only yield professional gratification but it can also benefit from having progressive and cultural diverse people who desire to serve. 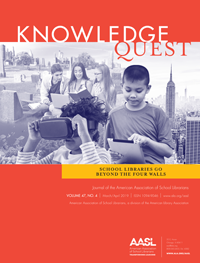 ‹ How Can School Librarians Teach Media Literacy in Today’s Highly Charged Media Landscape? Thank you Chiquita for this blog. I would like to add that Chiquita was a recipient of an IMLS Laura Bush Scholarship to improve diversity among school librarians and completed her online graduate degree in the Mansfield University (PA) School Library & Information Technologies program (unfortunately now closed). She has made all her former professors very proud! Please continue to support funding for the IMLS and its grant programs! Thank you for your thoughtful reflection, Chiquita. I read your post as a call to action. 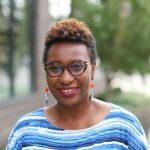 As you know, increasing diversity in all of its manifestations in the librarian profession is a challenge in all types of libraries. For me, personally, as a White woman, former school librarian, and retired pre-service classroom teacher and school librarian educator, there have been several ways I have tried to step up to this challenge. As a school librarian, I have demonstrated that being a librarian is an exciting, rewarding, and challenging career. I have modeled the satisfaction I experience when I have helped someone find information on (or the answer to) a burning question. I share my love of literature and literacies as well as serving the needs of others — students, classroom teachers, and families. I was recently delighted to learn that the one of our high school library student aides (2008-2009) has begun her graduate education in library science. 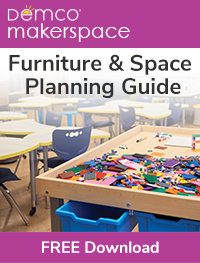 I know of one former classroom teacher collaborator who made the leap into the library. Taking on interns and practicum students is another way a practicing school librarian can mentor others and help increase the representation of underrepresented people in our profession. As a pre-service classroom teacher educator, I know that two of my former students who served as classroom teachers are now serving as school librarians. Supporting all graduate-level school librarian students during their preparation programs and after graduation is serving as successful careers in school librarianship is another way. Influencing the career choices of youth, classroom teacher colleagues, and future school librarians through our enthusiasm for our own careers is something all school librarians can all do. As some of you know, I am currently writing a history of American public school librarianship. 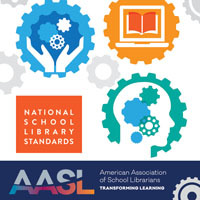 In the course of my research I discovered that during the Second Civil Rights era (1954-1968) the American Association of School Librarians issued no statement denouncing segregated schools or segregated school libraries. Ironically, it was also during this era that AASL passed a School Library Bill of Rights. In addition, throughout the South school administrators often shifted African American school librarians to white schools, then counted them as “faculty” to make it look like they were diversifying their faculties, all the while knowing that contact between those African American school librarians and individual white students would be much more limited than the latter would have with their white teachers. Again, AASL said nothing about these practices. At the last ALA conference the Council passed a resolution I drafted that apologized for ALA’s inaction during the Second Civil Rights Era, and recognized African American students (the vast majority were teenagers) who braved danger and risked their lives by conducting “read-ins” to integrate segregated public libraries. In the near future I intend to write an article about this sad chapter in the history of school librarianship, and approach AASL about passing a resolution apologizing for its silence on segregated school libraries during one of the nation’s most tumultuous periods.